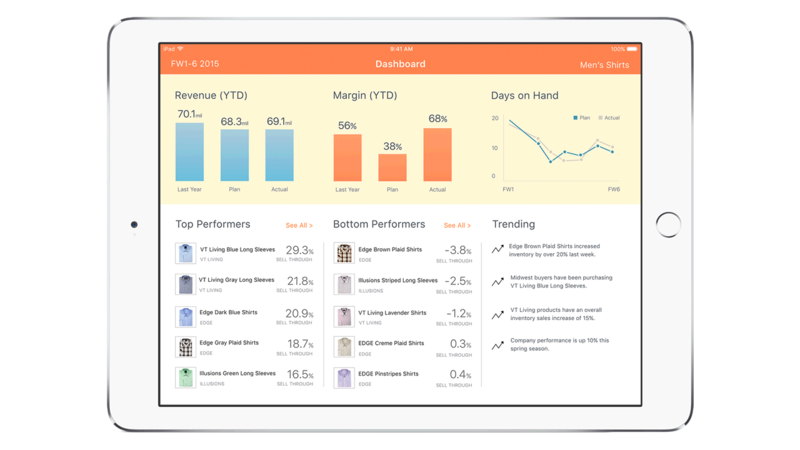 IBM MobileFirst for iOS Dynamic Buy gives retailers a real-time perspective and data-driven recommendations on in-season buying. Track financial performance across departments, against plan, and from year to year. Identify top and bottom performers in real time. Act with analytics-powered recommendations on suggested order quantities to deliver greater understanding and accuracy for in-season spot buying. View revenue and margin performance, available open-to-buy and days-on-hand in real-time, to work more effectively from the field, from market, or from anywhere.